By LUDWIG VON KOOPA - Electronic Arts lost my buy. It has been a long time since the FIFA series from Electronic Arts has made it to a Nintendo console — about three years, and it was on the Wii for some reason but not the Wii U. Finally, football (soccer) fans can enjoy the action on a Nintendo platform, and not a moment too soon: The FIFA series is actually getting very interesting with its story content, and Alex Hunter's presence in The Journey in FIFA 17 and now The Journey: Hunter Returns is making FIFA 18 the game to get for September. I can't wait to buy it and go on The Journey with Alex Hunter! ...Wait, what? The Nintendo Switch version won't have The Journey story mode in it, but every other platform will? SAY WHAT? YO, THIS AIN'T COOL. WHAT THE HELL?! Well, forget it, then! No Alex Hunter, no purchase! Why would anyone get a version of FIFA 18 that is missing the only part that makes the game worth purchasing? The only thing preventing EA from dropping to dead last in E3 2017? Allegedly, it is because EA's Frostbite engine is too advanced for the Nintendo Switch, and The Journey is only made possible because of the Frostbite engine. That seems absurd, given how the Nintendo Switch, and many systems less powerful than the Nintendo Switch, are able to provide players gameplay and story experiences far beyond than what players would encounter in The Journey: Hunter Returns. This is just another bad excuse from Electronic Arts to sabotage their own games on the new Nintendo platform. Then, a year from now, they'll say that they won't release any more games on the Switch because their first few failed. Well, yes, they'll fail when they are stripped of what makes people want to buy the games to begin with. 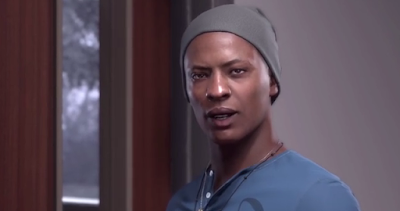 Alex Hunter! Please come play with Nintendo! WE LOVE YOU! KoopaTV may try live-logging the staff watching cutscenes from The Journey as a weak substitute. What do you think of the lack of Alex Hunter on FIFA 18 for Nintendo Switch? Does that make the game a no-buy for you? ...Was it always a no-buy for you? 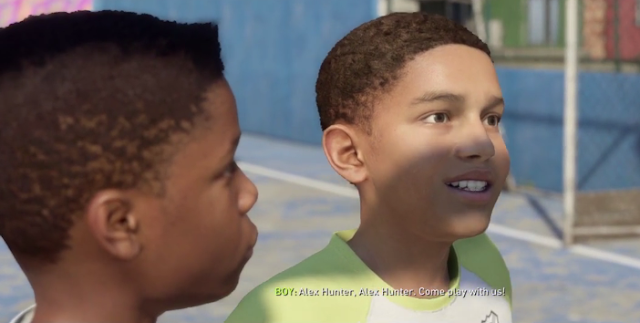 KoopaTV just knows that the whole Internet is obsessed with Alex Hunter, and since KoopaTV is part of the Internet, this article exists. FIFA 19 is no better for Alex Hunter. Alex Hunter is the only reason so many are interested in the game in the first place. EA cannot blame anyone but themselves when their abysmal sales numbers come in for the Switch. Who would want to purchase an incomplete game for full price? To be fair to EA (???? ), for most of FIFA's life it didn't have a story mode like this and it was considered complete. ...And for most of FIFA's life I didn't give a damn about it, so, yeah. But many millions of other people did/do!